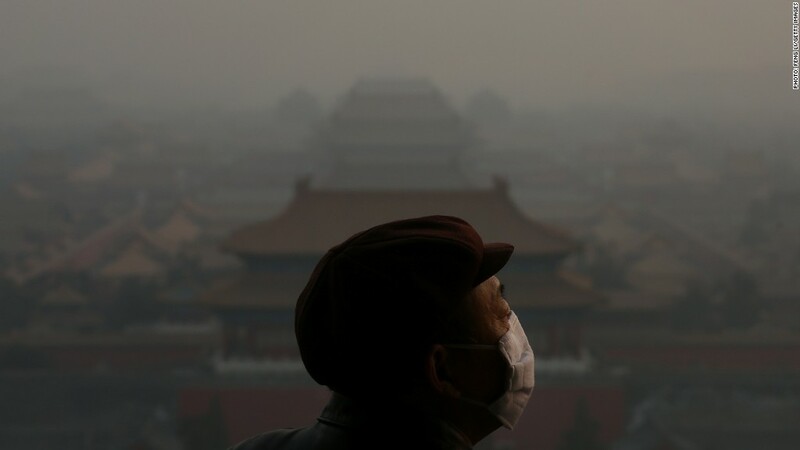 China's political elite pledged Tuesday to tackle the country's environmental crisis in the face of a public outcry over pollution. Speaking at the annual meeting of the Communist Party-dominated national congress, Chinese Premier Wen Jiabao said health safeguards would be improved and efforts would be made to control air pollution and make water supplies safer. The emphasis on environmental and health issues comes as China's leaders confront growing anger over choking pollution, contaminated food, and water that is unsafe to drink. The statistics are staggering. China now burns 3.8 billion tons of coal each year, nearly as much as the rest of the world combined. China's CO2 emissions rose by 720 million tons in 2011 -- a 9.3% increase. Pollution and dust generated in China has been found settling in places as far away as California. A heavy layer of dark smog has settled over Beijing several times this year, and as Wen spoke, the city was enduring its fourth straight day of "very unhealthy" air quality. Maintaining blockbuster growth over the past decade has sometimes come at the expense of environmental protections. Beijing is also worried about higher fuel prices contributing to elevated rates of inflation. The government has made explicit its intention to weigh environmental regulation against the cost to the economy. But analysts say the public outcry over pollution has tipped the scales. "The political commitment to addressing environmental degradation and increasing energy efficiencies in China is real," analysts at Eurasia Group said Tuesday. "The incoming leadership will seize this opportunity to demonstrate that it can act effectively on issues of concern to public opinion amid growing skepticism of the party," they said. China has already made efforts to boost the use of alternative sources of power, setting standards for solar energy installation and switching from coal to gas in some cities. The party leadership could signal additional proposals this week as the parliamentary meeting continues. The Ministry of Finance even hinted last month that a carbon tax is in the works -- a policy that has been pursued by environmentalists in the United States without success. The proposed tax would be small, analysts have noted, and would have little immediate impact on China's carbon emissions. But it could lead to a larger program in future years. The big question is whether Beijing's words will translate into action, and whether local and provincial governments will heed the directions.